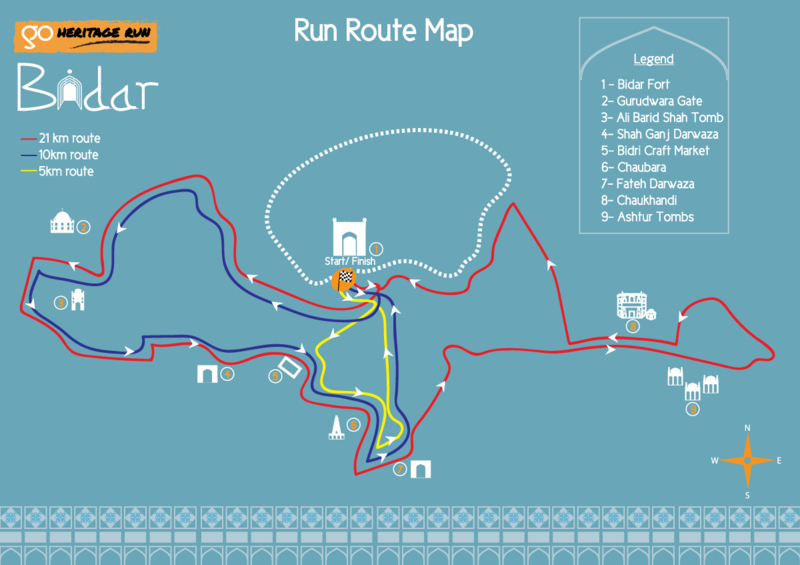 Take part in a fun run through Bidar - former capital of the Bahmani kingdom in the current Hyderabad Deccan region. Limited on-the-spot registrations will be available. ne of Bidar's premium holiday resorts located 20kms from Bidar Fort. 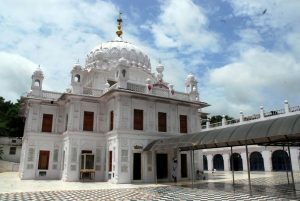 The Gurudwara is located near Bidar Fort as well and provides accommodation on special request. Travel Guidance: Bidar is a few hours away from Hyderabad by road, and an overnight journey from Bangalore, Bombay and Pune. Take a train, or fly into Hyderabad to get to Bidar. ​Read more. 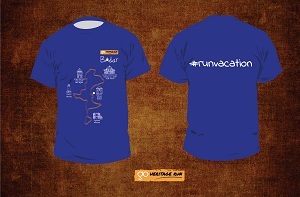 In a departure from our tradition of incorporating local arts and craft into the run T-shirt, we sketched out the run route on the Bidar 2017 run T-shirt and illustrated some of the heritage sites you’ll spot along the way – the Bidar Fort, the Chaubara clocktower, the Ali Barid Tombs, Chaukhandi and Gurudwara Nanak Jhira. 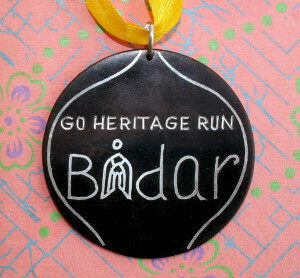 The finisher medal has the outline of a kaman or “archway” as seen in numerous monuments around Bidar including the Sola Khamba Mosque. And, of course, it's hancrafted using the Bidri metalworking technique. 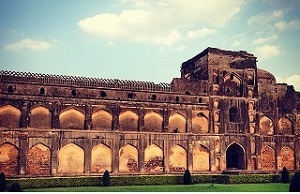 Bidar was ruled by the Bahmanis, the Bijapur Sultanate and the Mughals and the Bidar run routes are designed to traverse many monuments and sites that these rulers constructed. 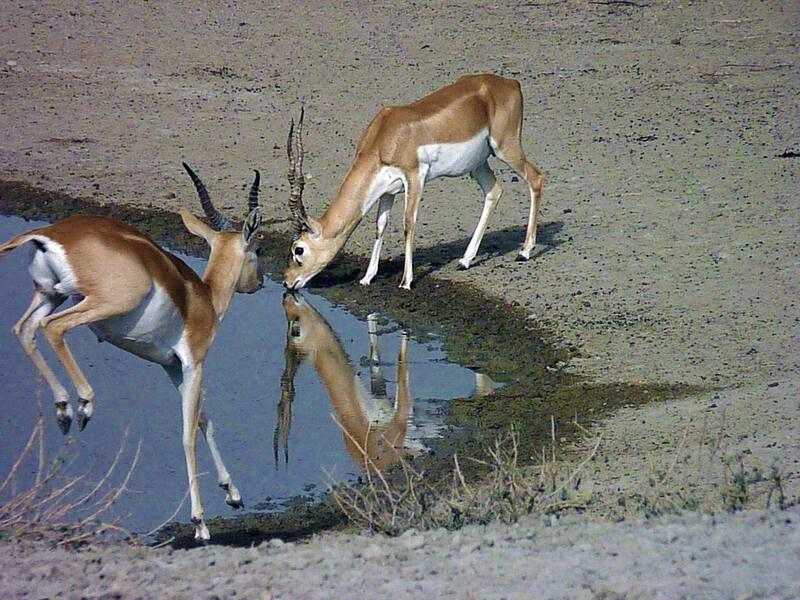 This former capital of the Bahmani Kingdom has heritage and religious structures spread all across town. But there’s more – read about the ancient aqueduct system, its arts and crafts and the town’s Bollywood connection too. Bidar is a town of significance to many religions in the modern day – one of the most important pilgrimage centers for Sikhs is in Bidar. The mix of old and modern heritage is something a traveller will spot immediately and appreciate. 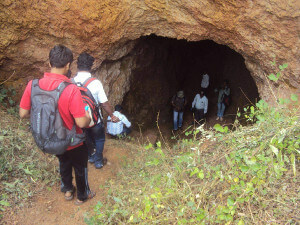 The District Administration and Tourism Department in Bidar, in association with GoUNESCO organized a photography tour in 2015 and invited photographers from Hyderabad, Pune and Chennai to Bidar to showcase Bidar’s incredible beauty. Widely known as Indian art, Bidriware often fails to be recognized as Bidar’s artwork. But the lesser-known fact remains that these artifacts are made on the soil of Bidar and from the soil of Bidar. 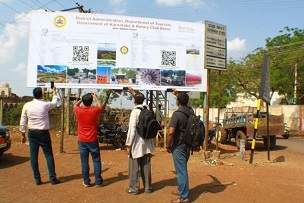 Digitization of tourism and culture that is being heavily encouraged and promoted in Bidar. Apart from an innovative Wikipedia edit marathon, Bidar has used technology to disseminate information about the heritage and culture in Bidar. 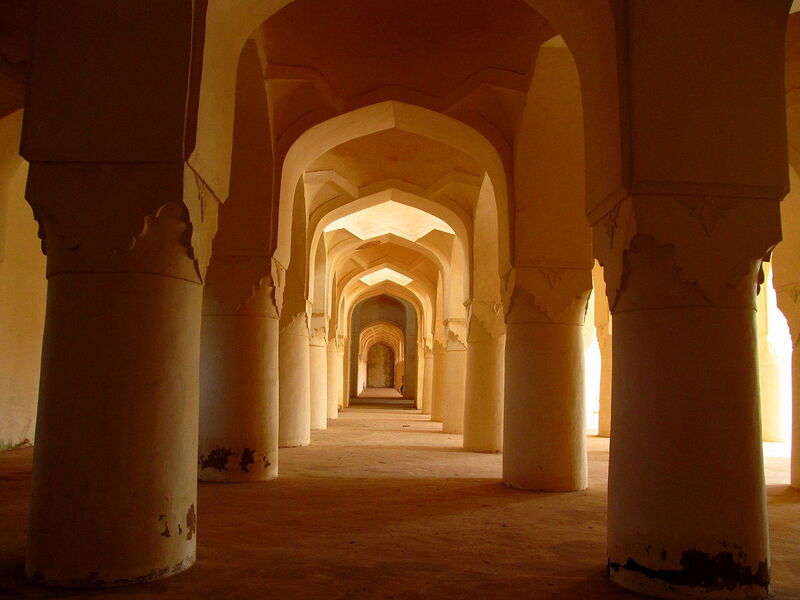 The history of the Karez systems in Bidar dates back to 500 years during the reign of the Muslim dynasties that descended from Persia. They brought along with them experts and engineers who then oversaw the construction of this incredible harvesting technology. The Guru Nanak Jhira Sahib in Bidar is one of the holiest shrine of the Sikhs after the Golden Temple in Amritsar. It is a great example of intermingling cultures. 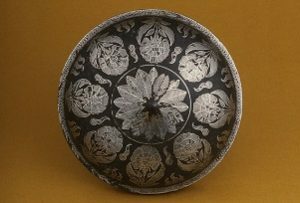 Due to its intricate design and detailing, it is often termed as Art for the Royal or Black Beauty because of its lustrous black texture with silver embedding. 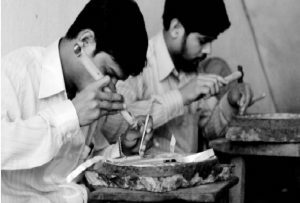 It is considered expensive because of the labor and resources involved in the making of every single Bidriware artifact. 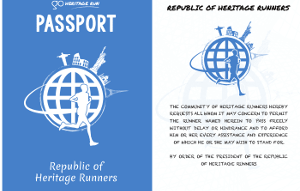 With a run almost every month, Go Heritage Runs are the best travel plan for you! 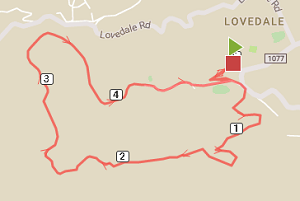 See the runs planned and announced on our calendar.